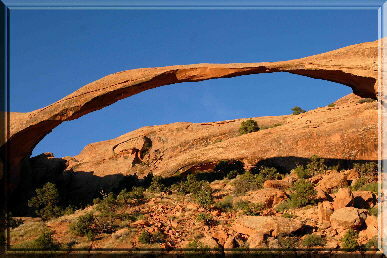 The most photographed of all of Arches National Park's beauty, Landscape Arch is over 200 feet long and a mere 6 feet thin at it's most narrow. Park officials say, with certainty, it's days are numbered. The same forces at work to carve this graceful ribbon will also be it's demise.